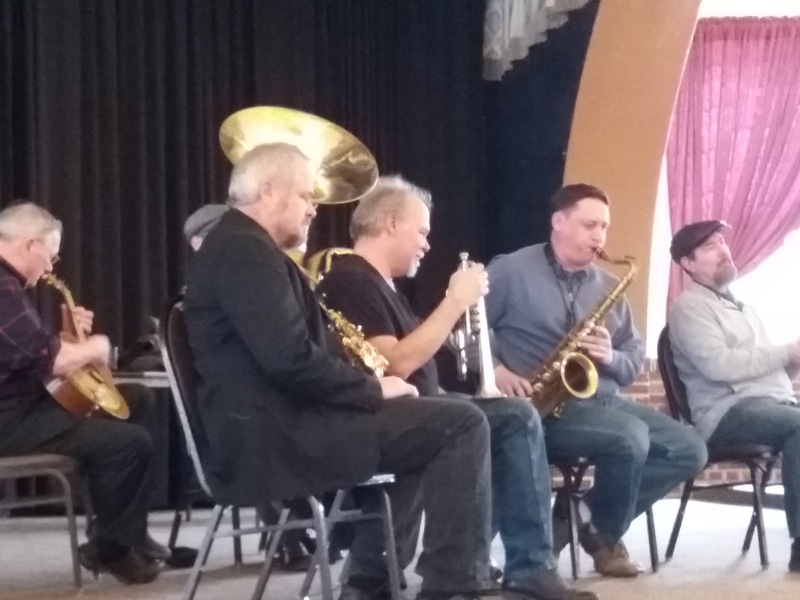 A Tribute to Bix (Bix Fest) began with a day-long bus tour to some historic jazz sites in the state of Wisconsin. 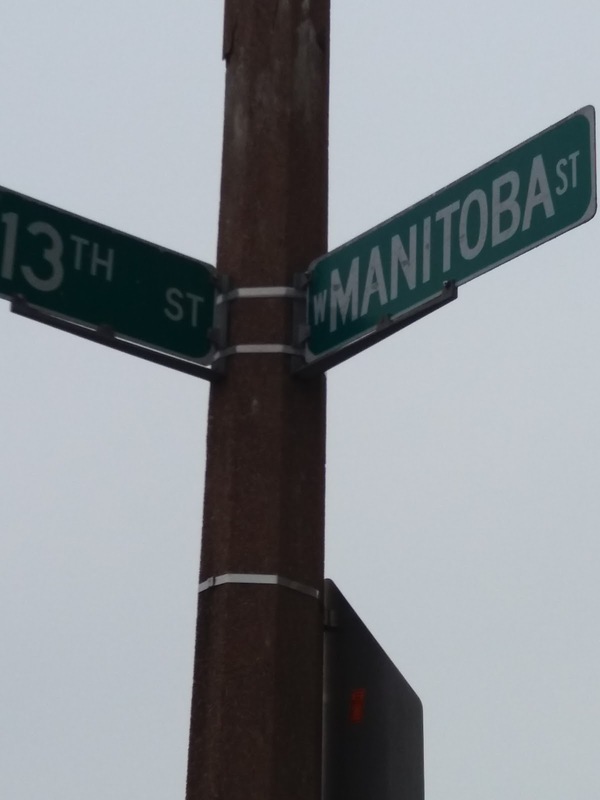 This thirtieth year Bix Fest event visited Milwaukee, Hartford and Racine. 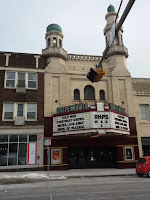 The trip - Bus Tour to Hell - was conducted by Bix Fest director Phil Pospychala. It was to be some day! 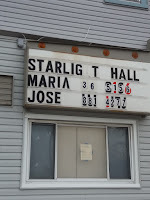 At ten in the morning, a coach full of jazz fans departed the festival base with the first stop at 13th and Manitoba in Milwaukee The jazz tourists disembarked, cameras at the ready to grab a shot of the now dilapidated Starlight Hall (see photo). It was here, it is thought, that Andy Jackson's Rhythm Kings once performed circa 1929. 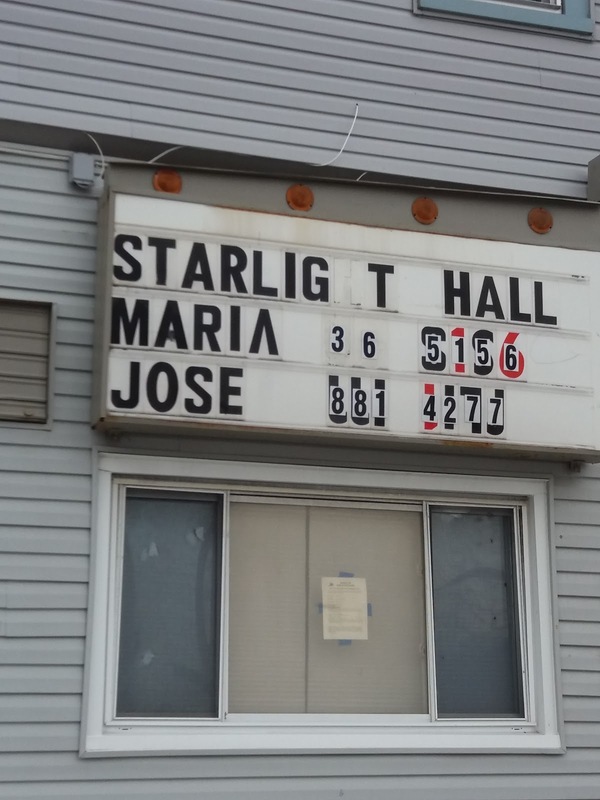 The fact that the building is in a poor state of repair somehow added to its appeal. The next stop on the self-styled 'Bus Tour to Hell' would include some live jazz! Out on to the freeway Phil's rambling commentary entertained his Bix Fest coach of merry men and women (by now the booze was flowing) who were looking forward to privileged access to the Schwartz Ballroom in Hartford. 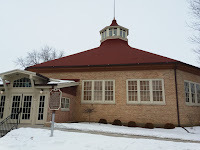 An octagonal design, the historic building once hosted concerts by some of the great names of the music - Louis Armstrong, Tommy Dorsey, Duke Ellington and Benny Goodman. A live radio broadcast by Guy Lombardo drew a crowd of 6000. Standing in the hall was indeed a rare moment. The Bus Tour to Hell included among its number a five-piece band plus vocalist. The musicians were every bit as excited as the rest of the party to be at a truly historic venue. Andy Schumm (a fixture at the annual Mike Durham Classic Jazz Party on Tyneside, England), on this occasion playing tenor saxophone, took to the stage with his ad hoc bandmates to play a few numbers in this magical 'Echoes of Ellington/Goodman et al' arena. Dave Bock, soon to make his Tyneside, indeed British debut, played tuba with Chicago's West End Jazz Band with leader Frank Gualtieri impressing on trombone. Vocalist Roya Naldi, looking every bit the 20s flapper, joined the boys to sing a couple of numbers including Cherry and After You've Gone. A truly memorable occasion. Back on the bus Phil's 'entertaining' commentary frequently went off at a tangent, it was all part of the fun. 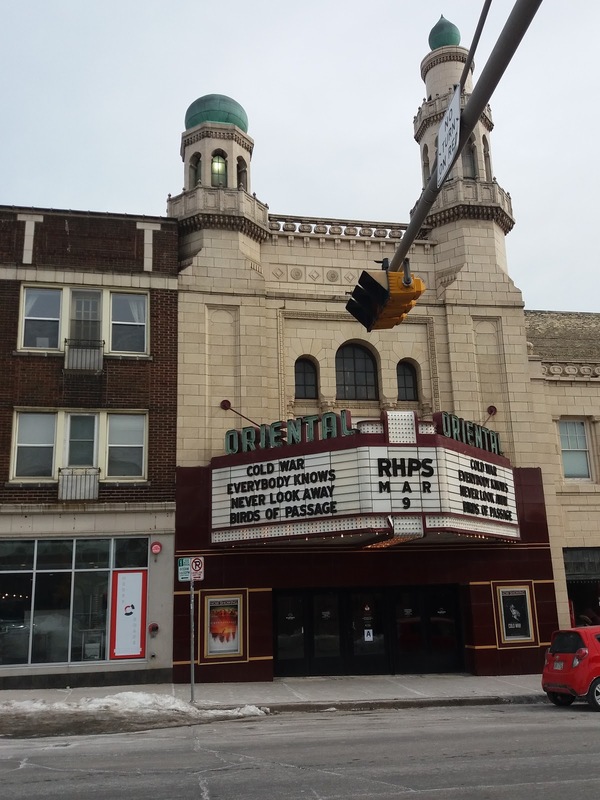 The next port of call took us back to Milwaukee to wander around the Oriental Theater which, during the 1920s, hosted many big names. Popcorn was purchased. 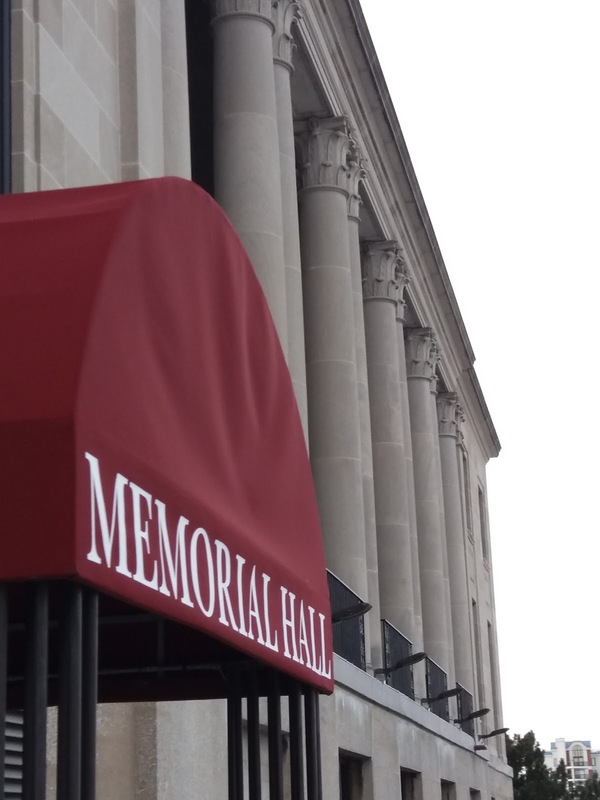 The final stop of the day was to step inside the Memorial Hall in downtown Racine. Gone five in the afternoon, the venue's staff graciously hung back to welcome the jazz tourists. The purpose of the stop-off? The Paul Whiteman Orchestra once graced this imposing lakeshore - that's Lake Michigan - venue. Once again cameras clicked, the jazz tourists drinking it all in. The Bus Tour to Hell made its way back to Bix Fest HQ via an unscheduled stop at one of Wisconsin's many craft brewery taprooms. The Racine Brewing Company opened its first pub in a disused shop little over twelve months ago and it became an instant success story. The proprietor, Andy Molina, was working behind the bar as the busload of jazz fans descended on the place. He couldn't believe his eyes or his luck! For the record, the Wisconsin Brewing Co's Yankee IPA (6%) was more than acceptable. Yes, this had been one crazy 'Bus Tour to (Jazz) Hell' and back!